The unlikely pairing of a meat shop and cycling gear store may seem strange, but one taste of the specialty cured cuts and it really won't matter. 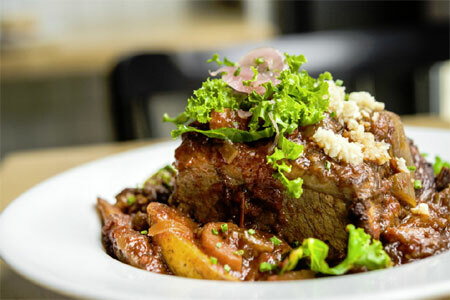 : Taking its name from the pseudonym of famed Belgian cyclist Eddie Merckx, this Murray Hill spot is two things in one: a front-end butcher and apparel store that boasts a bar offering a vast collection of specialty beers, wines and spirits. A communal table and spacious back garden allow the shop to transform seamlessly from retailer up front to bar and restaurant out back. Try shareable plates of pâtés and terrines, including those made with lamb neck and chicken liver mousse. Meats are first-rate, so leave your vegetarian friends at home and give the kielbasa sausages a go. 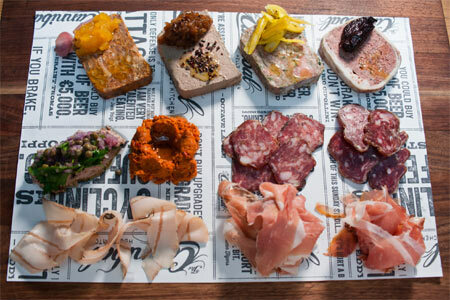 Charcuterie is also a must; a ham trio and cured meats will convince diners to take some home from the butcher. Inventive beer cocktails help wash down all the hearty meat indulgence.